Faced with the urbanization of Nicaraguan immigrant workers, many of whom are unauthorized, and a growing recognition of their importance in certain industries, the Costa Rican government in recent years has shifted from a policy of enforcement to one of integration. Nicaraguans comprise the vast majority of immigrants, economic and otherwise, in Costa Rica, and are concentrated in specific sectors, such as construction and domestic service. Studies have consistently found they work longer hours, are paid almost half of what their Costa Rican counterparts earn doing similar work, and are insured at much lower rates than the native born. In an attempt to reduce these disparities and better integrate the growing share of immigrants in the workforce, the Costa Rican government enacted a new migration law in 2010 and numerous executive decrees since then to facilitate regularization of unauthorized workers. The regularization mechanism has had limited success, however. Experts initially attributed the low takeup to the high cost for both workers and employers. Government officials have since increased pressure on private companies they believe have not helped workers legalize their status. Those companies that have participated, however, have faced numerous challenges. This article explores current migration policies in Costa Rica, offering accounts from private-sector leaders detailing the barriers encountered in hiring and regularizing migrant workers. Finding that public and private interests are not inherently dissimilar, the article offers an outlook for the role of public-private collaborations in facilitating regular labor migration to Costa Rica. Costa Rica’s story of immigration began most noticeably in the second half of the 20th century. The first wave of Nicaraguan migration began after the 1972 Managua earthquake. Political instability in Nicaragua as a result of the repressive Somoza regime, revolution, and the Contra War in the 1980s drove continuing inflows of Nicaraguans to its neighbor to the south (see Figure 1). Source: Author’s tabulation from 2011 Census data; General Agency on Migration and Foreigners (DGME), Migración e Integración en Costa Rica Informe Nacional 2012. [Migration and Integration in Costa Rica National Report 2012.] (San José, Costa Rica: DGME, 2012), available online. The number of Nicaraguans in Costa Rica rose from 1.9 percent of the total population (45,918 people) in 1984 to 5.9 percent (or 226,374 people) in 2000, according to Costa Rican census data. In 2011, Costa Rica’s foreign-born population constituted about 9 percent of the total population, or roughly 385,000 people. Nicaraguans composed almost 75 percent of the foreign born, and about 6.7 percent of the total population (287,766 people) in 2011. From the 1990s on, Nicaraguan migration to Costa Rica has been largely economically driven, and has begun to stabilize. Nicaraguans in Costa Rica fare the lowest in various sociodemographic indicators. An analysis of census data conducted by Estado Nación, a research collaboration among Costa Rican public universities, shows that compared to the native-born population and other foreign-born groups, Nicaraguans have the lowest educational levels, with 58 percent having completed a primary education or less. Most Nicaraguan migrants are low-skilled and of working age; women primarily work in domestic services, while men are largely employed in agriculture and construction, according to an International Organization for Migration (IOM) analysis. For much of the 20th century, migrant labor in Costa Rica remained near the borders with Nicaragua and Panama, or concentrated in agricultural regions. Starting in the 1990s, urbanization accelerated, with more immigrants settling in the capital region (see Figure 2). Correspondingly, Nicaraguan migrants are increasingly taking jobs in the urban commercial sector. Source: Author’s translation from DGME, Migración e Integración en Costa Rica Informe Nacional 2012. As Nicaraguan labor migrants have consolidated in specific economic niches, and as immigration levels have stabilized, the Costa Rican government has shifted its focus from enforcement to integration. Passage of the General Law on Migration and Foreigners in 2010 and subsequent executive decrees in 2011-13 have constituted the most recent steps toward creating a comprehensive policy framework on immigration. The law is noteworthy for its integration language and for allowing certain unauthorized immigrants to regularize their status, including those with Costa Rican-citizen or permanent-resident children. Unauthorized foreign workers are allowed to legalize their status via employment-based temporary residence permits in an expedited manner while continuing to work and live in Costa Rica. Additionally, the law established sanctions (fees ranging from USD $1,600, to $9,600) for employers who hire unauthorized migrants. Individuals can be fined $100 for each month they are in the country illegally. While individuals are responsible for submitting their regularization applications, and the migration agency, Dirección General de Migración y Extranjería (DGME), for processing them, companies play a key role in the process. Foreign workers need a letter from their employer to complete their applications, and companies have to register with DGME for these workers to legalize their status. Subsequently, the Chinchilla administration issued several executive decrees to facilitate the regularization process. First, the government delayed the start date for assessing fines against individuals, giving migrants until September 2013 to regularize their status without incurring this fee. With little increase in applications and under pressure from various industries, the administration then provided grace periods for employers and workers in agriculture, construction, and domestic services. Employers in these sectors were given more time to register with DGME to support the regularization of their workers without facing sanctions or undergoing the usual process requiring workers to return to Nicaragua and then legally migrate to Costa Rica in order to be hired formally. This period ended for the domestic services and construction sectors in July 2014, and on January 31, 2015 for the agricultural sector. However, employers in the agricultural sector who had registered with DGME before this deadline were allowed to regularize their workers in an expedited manner throughout 2015. The regularization mechanisms have proven rather unsuccessful to date. During the first three years, there was no clear increase in the number of applications or acceptance rates for temporary and permanent residence, including for employment, according to a 2013 Estado Nación study. The high cost may have prevented people from applying, while the low acceptance rate may be due to the fact that many applications were incomplete. To apply for a temporary residency for work purposes, for example, an individual would have to pay at least $310—more than the 2012 minimum monthly wage for a domestic worker. Of the 75,000 foreign workers estimated working in the agricultural sector by DGME, just 5,000 have work residencies. Furthermore, two months before the January 2015 registration deadline for agricultural employers, only 1.7 percent of such employers had registered with DGME. Tension has emerged between the government, which established the regularization process, and the private sector, which government officials contend has not done its part to support the process. DGME Director Kathya Rodríguez noted that many private companies have not collaborated in the regularization process as evidenced by the low number of agricultural companies that registered to regularize what the government knows to be a significant migrant-worker population. Companies were also required to be up to date with their payments to the Social Insurance Agency, or they would incur financial penalties. According to Abelardo Morales, an expert in Costa Rica migration policy, it is likely many companies did not engage in the regularization process because they owed the insurance agency money for unregistered irregular workers. On the other hand, many employers did participate in the regularization process, but encountered numerous obstacles throughout. Based on interviews with private employers of domestic workers and business leaders in agriculture, construction, food services, and transportation, this section highlights three main challenges in hiring and regularizing migrant labor: insufficient knowledge by the government about the private sector’s labor needs, the length and complexity of hiring and regularization procedures, and a lack of resources and coordination among government institutions. The Costa Rican Labor Ministry is in charge of evaluating the need for foreign workers in various economic sectors. The ministry then provides recommendations to DGME on which and how many work visas to grant. These studies, however, are often insufficiently rigorous and not conducted as frequently as necessary, according to both private-sector leaders and experts in the field. The transport sector provides the best case in point. A 2008 government study identified a shortage of 1,200 bus drivers in the metropolitan area of San José, the capital. Without access to an updated study, members of the transport sector in 2014 used these findings to try to convince the government to allow them to hire more Nicaraguan bus drivers. As a result, the quota for foreign bus drivers was increased—from 100 drivers in 2008 to 350 in 2014—but less than the deficit and industry demands. The lack of further studies has challenged the ability of transportation representatives to justify their labor needs in the face of what they believe is a growing bus driver deficit. Business leaders also challenged the commonly held view that when unemployment levels are high, employers in certain industries will need less migrant labor. The government has pressured employers in various sectors to hire more Costa Rican workers, yet many claim that Costa Ricans do not want these low-skilled jobs and they therefore need to hire migrants. In 2013, the Labor Ministry organized a campaign in the northwestern province of Guanacaste, where agriculture is widespread, to recruit Costa Ricans, assuming they would find many willing workers given the region’s high unemployment levels. The ministry found 3,000 people to fill 20,000 jobs. Furthermore, even during the years of the financial crisis, which significantly affected Costa Rican economic growth and employment, the hiring of migrant domestic workers did not decrease. The limited and inadequate assessments of labor needs are not the only issue affecting the private sector’s response. Individual labor sectors have responded differently to the regularization push based on sector characteristics. For example, construction companies did not fully take advantage of the regularization mechanisms because of unrealistic requirements, an industry representative explained. A worker in construction seeking to regularize his status would have to show that he had been working for the same employer for at least six months. But, due to high turnaround in the industry and the fact that most workers are hired for specific projects, many could not meet this requirement. And even if they did, by the time they received the work permit, the project had often already concluded. Industries that do not depend highly on migrant labor and were not given grace periods for regularization, such as food services, were often discouraged from hiring immigrants because of the length and complexity of the hiring process. One manager acknowledged that many Nicaraguans are skilled cooks, but still preferred to avoid hiring non-Costa Ricans. In another example, a business owner who started her company with the hopes of hiring mostly single mothers—no matter their country of origin—has had to reject job applications from Nicaraguans because of the delays and complications in obtaining a work permit. An immigrant who does not qualify for the regularization grace periods and wants to obtain a work permit in Costa Rica must be legally in the country and present a letter from an employer in addition to at least eight other documents. To obtain many of these documents, including birth certificates and criminal history records, migrants often have to return to Nicaragua and wait anywhere from one week to one month (although Nicaraguan consulates are increasingly facilitating the provision of these documents in Costa Rica). Since food service employers generally expect new hires to start within a week, the length of this process can deter employers from even considering foreign workers. In these examples, managers decided not to hire migrant labor because they did not already depend heavily on it. However, households, the main employers of foreign domestic workers, often hire Nicaraguans regardless of their legal status. Since there is no formal framework for private households in hiring personnel, a number of household heads expressed confusion about the rules and requirements for domestic workers to get work permits. They claimed to have hired lawyers with limited success, and said they would have benefitted from clearer information materials from DGME, even though the agency has produced a user-friendly fact sheet with the requirements. According to some household employers, the process of obtaining a work residency for a domestic worker can last anywhere from one month to one year (members of the construction sector reported a timeframe of one to two years). During this uncertain period the migrant worker has no legal residency documents to access health and social services in Costa Rica. Workers and employers were further challenged by implementation difficulties for the 2010 Migration Law resulting from fragmentation of authority and unprepared institutions. For instance, registration with the Costa Rican Social Insurance Agency, Caja Costarricense del Seguro Social (CCSS), is a prerequisite for regularization. However, when migrants arrived at CCSS offices to register they were told they needed a document from DGME showing their legal residency in the country—exactly the document they were hoping to obtain from CCSS. Although a court decision resolved this institutional confusion, similar problems remain. The failure of institutional coordination and limited capacities has hampered migrant workers in sugar production. Sugar producers benefit from a binational convention facilitating the movement of agricultural workers between Costa Rica and Nicaragua. Under the treaty, Costa Rican producers can hire Nicaraguans relatively easily, in a process lasting about three months. As soon as migrant laborers enter the country and begin working, their employer is required to start paying into the CCSS, which grants migrants insurance benefits coverage when necessary. However, this process is not always followed as prescribed by the 2010 law. Sugar-cane field workers need to obtain a residency card from DGME to receive certain benefits (such as paid sick leave) from the insurance agency, which is paid for by the employer. Many workers, however, lack this card and do not receive such benefits. In 2013-14, none of the 650 Nicaraguans hired that year by Ingenio Taboga—one of the main sugar producers in northern Costa Rica—received their residency cards because the local DGME office did not have the machine to print them. The situation improved in 2014-15, Taboga reported, although about 20 percent of the 550 Nicaraguans hired for the season still did not receive their residency cards after being allowed into the country as migrant laborers. Many of the cards were issued once the growing season was over. Nicaraguan bus drivers in San José also faced challenges related to institutional misalignment and barriers to qualifications recognition. DGME allowed 350 foreigners to work as bus drivers in 2014. Despite a sizable driver shortage, companies have stopped bringing more Nicaraguans because they are no longer able to easily obtain Costa Rican driver’s licenses with their Nicaraguan licenses. After a 2012 change to the country’s transit law, foreigners wanting to obtain a Costa Rican driver’s license have to be legally in the country for at least three months before they can apply. This complicates the hiring process for transportation companies: employers have to pay for the workers’ three-month stay in the country before they can start driving, and with no guarantee that the migrant will indeed get a driver’s license. As a result, Coopana, one of the largest bus companies, has stopped hiring new Nicaraguan drivers even though DGME raised the quota, and despite the growing need for drivers. The government justified the change in the transit law by claiming that it would reduce the number of accidents, possibly caused by a different driving culture amongst Nicaraguan drivers. Members of the transportation sector, however, claim that because they cannot hire the number of drivers needed, their current employees have to work longer hours. Working longer hours, they believe, is not only detrimental to drivers’ health but also makes accidents more likely. This policy therefore has significant impacts not only on immigrants and private companies, but also on the availability and quality of public services. The current migration law provides a framework that attempts to facilitate migrant integration and labor mobility by creating regularization mechanisms, while at the same time calling for stronger enforcement measures and sanctions against employers who hire unauthorized migrants. However, as discussed above, many who participated found numerous obstacles to regularization. Greater understanding of the barriers faced by the private sector in the post-2010 law context will help determine how to better facilitate the process for compliant employers, while continuing to sanction those who flout the rules. A policy discussion incorporating the views of private companies is already underway. Earlier this year, associations of business leaders in different economic sectors, known in Costa Rica as cámaras, played a key role in communicating their needs to DGME in meetings with government officials. Industry representatives voiced their willingness to collaborate with the government, and urged companies in their sectors to do the same. But some have also expressed concern over the length and costs of the regularization and hiring processes, as well as institutional bottlenecks. These cross-sectoral discussions have begun to produce results. After meetings with government officials and members of the export cámara, Costa Rica’s migration agency has started to develop a new model in which Nicaraguans who would like to work in the agricultural sector could gather certain documents in Nicaragua and present them to a border checkpoint office where they would be given a work permit limited to a specific employer, for a specific activity and time period. Although this plan has potential, it raises several flags. First, it is unclear how the demand for foreign labor will be determined. While DGME indicates the work permit will be granted depending on the demand specified by companies, it is unlikely that companies will be given a blank check to determine the amount of foreign labor they need. Second, DGME is already overworked and understaffed and may not have the necessary resources to execute this plan. Finally, for this proposal to work, Nicaraguans will have to be informed about it in their home country, requiring some sort of information campaign. This may prove especially challenging given that it has been difficult to inform Nicaraguan workers in Costa Rica about the requirements of the regularization process (just 10 percent of applications for regularization included all the necessary documents as of August 2014). At the heart of these challenges are DGME budget constraints that have caused the agency to “collapse,” as Director Kathya Rodríguez said in August 2014. Responding to a question on the length of the agency’s processes, she said “[DGME] basically maintains the same amount of personnel with a demand that is growing.” At the time, officials in the DGME central offices were receiving 1,320 regularization applications daily, when they were equipped to process 120, according to news reports. As a result, processing times averaged nine to 12 months; by law, applications submitted with all the necessary documents must be processed in three months. Thus, even if employers help regularize more workers, and if the aforementioned plan comes into fruition, without enough DGME resources to respond efficiently, the efforts may lead nowhere. To obtain more resources DGME will require a greater budget—unlikely given Costa Rica’s sluggish economy and growing public debt. Without increased institutional capacity to process work permits in a timely manner, and to systematically assess foreign labor needs in the economy, the legal hiring of foreign labor will remain a challenge in the near future. More recently, DGME Director Rodríguez has acknowledged the large number of Nicaraguans who enter the country on tourist visas in order to look for work. While hardly a new phenomenon, the agency is now promoting the use of tourist visas—even for those seeking employment in Costa Rica—in order to regularize and maintain better records on the migrant population. This is unlikely, however, to further facilitate their integration into the economy. Nonetheless, the government’s recent emphasis on migrant integration suggests there is a greater desire to formally integrate migrants in the Costa Rican economy and society. 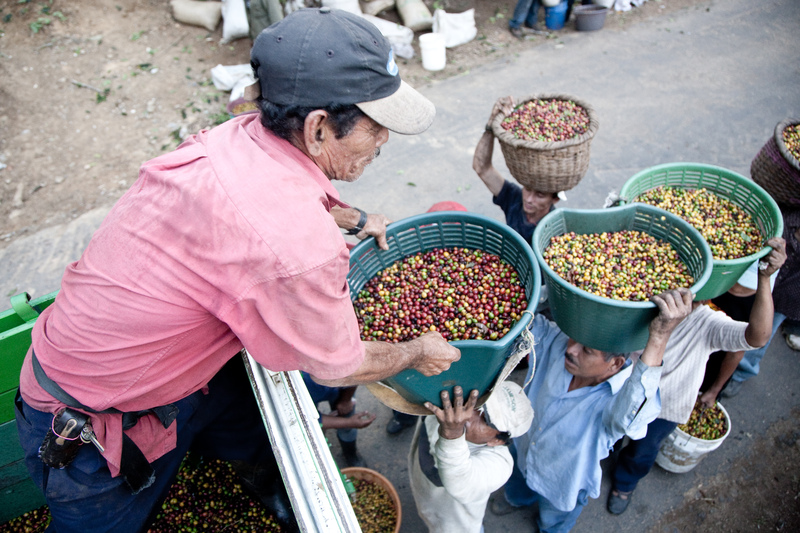 Integration takes on greater importance when looking at Nicaragua’s improvements. As the Nicaraguan economy develops and the government there institutes policies to increase employment levels, Nicaraguans may find fewer reasons to emigrate. In fact, Costa Rican industries such as construction and transportation are already reporting difficulty recruiting enough Nicaraguan workers. There are reasons to believe both the Costa Rican government and private sector will continue to have incentives to collaborate and make working in Costa Rica easier, safer, and more desirable. República Dominicana, Informe de Costa Rica. [Intraregional migratory flows: current situation, challenges and opportunities in Central American and the Dominican Republic, Report on Costa Rica.] San José, Costa Rica: International Organization for Migration. Available Online. Barquero, Marvin. 2014. Kathya Rodríguez: ‘Estamos colapsados.’ [Kathya Rodríguez: We have collapsed.] La Nación, August 8, 2014. Available Online. ---. 2014. MAG estima que país requiere 73.000 trabajadores migrantes [MAG estimates that the country needs 73,000 migrant workers.] La Nación, November 28, 2014. Available Online. ---. 2014. Migración cobrará multas por empleadas domésticas ilegales. [Migration to charge fees for illegal domestic workers.] La Nación, August 2, 2014. Available Online. ---. 2014. Pocas empresas podrán contratar legalmente a trabajadores migrantes. [Few companies will be able to legally hire migrant workers.] La Nación, November 27, 2014. Available Online. ---. 2014. Presa para legalizar empleados extranjeros colapsa Migración. [Backlog to legalize foreign workers causes Migration to collapse.] La Nación, August 8, 2014. Available Online. ---. 2014. Solo patronos agrícolas tienen más plazo para regularizar trabajadores. [Only agricultural employers will have more time to regularize workers.] La Nación, August 1, 2014. Available Online. Bonnie, Alexandra. 2010. Trabajadoras domésticas nicaragüenses en Costa Rica: un tortuoso camino hacia el reconocimiento. [Nicaraguan domestic workers in Costa Rica: a torturous journey for recognition.] Encuentro, 87:75-88. Available Online. Bravo, Josué. 2015. Empresarios ticos legalizan poco a sus trabajadores extranjeros. [Costa Rican business owners barely legalize their foreign workers.] La Prensa, February 19, 2015. Available Online. Calderón, Ligia. 2015. Human Resource Manager, Constructora Meco. Personal interview. San José, Costa Rica, June 4, 2015. Chaverri, Donald. 2015. Human Resource Assistant, Ingenio Taboga. Phone interview. June 30, 2015. Consejo Nacional de Migración. 2013. Política Migratoria Integral para Costa Rica. [Integral Migratory Policy for Costa Rica.] San José, Costa Rica: Consejo Nacional de Migración. Available Online. Dirección General de Migración y Extranjería (DGME). 2012. Migración e Integración en Costa Rica Informe Nacional 2012. [Migration and Integration in Costa Rica National Report 2012.] San José, Costa Rica: DGME, 2012. Available Online. Gatica López, Gustavo. 2013. Perspectivas socioeconómicas de la población migrante en Costa Rica. [Socioeconomic perspectives of the migrant population in Costa Rica.] San José, Costa Rica: Estado de la Nación. Available Online. Herrera, Álvaro Enrique. 2015. Coordinator, Comisión de Asuntos Migratorios de la Cámara de Transporte [Commission on Migratory Issues of the Transportation Chamber.] Personal interview, Heredia, Costa Rica, June 3, 2015. Instituto Nacional de Estadística y Censos. 2011. Censo 2011 Características Migratorias. [2011 Census: Migration Characteristics.] Available Online. Lara, Eugenia. 2015. Administrative and Financial Manager, Cleanco. Email communication. July 14, 2015. Macaya, Alexandra. 2015. Domestic worker employer. Personal interview. Escazú, Costa Rica, June 6, 2015. Mata, Esteban. 2015. Gobierno avala uso de visas de turismo para formalizar inmigración. [The government supports use of tourist visas to formalize immigration.] La Nación, August 25, 2015. Available Online. Ministerio de Gobernación y Policía. 2015. Gobierno y empresarios agrícolas avanzan en acuerdos para la regularización de las y los trabajadores migrantes. [The government and agricultural employers move forward in agreements to regularize migrant workers.] Press release, January 27, 2015. Available Online. Morales Gamboa, Abelardo. 2008. Inmigración en Costa Rica: características sociales y laborales, integración y políticas públicas. [Immigration in Costa Rica: Social and labor characteristics, integration, and public policies.] Santiago, Chile: Economic Commission for Latin America. Available Online. ---. 2015. Phone interview. July 6, 2015. Pozuelo, Maricruz. 2015. Founder, Crispy Churros. Personal interview. Escazú, Costa Rica, June 6, 2015. Ramírez Calderón, Ana Lucía. Legal advisor, Cámara Costarricense de Construcción [Costa Rican Chamber of Construction.] Email communication. July 15, 2015. Tomeu, Beatriz. 2015. Development and Innovation Manager, Rostipollos. Personal interview. Santa Ana, Costa Rica, June 5, 2015. Gloriana Sojo-Lara is pursuing an M.A. in geography with a focus on migration at George Washington University. Ms. Sojo-Lara has conducted independent research on the migration-development nexus in the Costa Rica-Nicaragua context, the unauthorized youth movement in the United States, and refugee issues in South Asia.